"Suncica" is designed to enable electric vehicle users to charge their vehicles clean and fast with clean energy in a specially designed environment. "Solar" is a Solar Autonomous Modular Station with a battery storage that is powered by primary solar energy and allows users to conveniently and easily charge electric vehicles. Configuration to be the most energy-efficient charging solution for electric vehicles which consist of 50 kw peak solar panels that will save energy in a 500 kwh battery, enough to quickly charge 10 vehicles at a time, for which in Croatia there is still no need but thinking about the very near future, "Suncica" is modularly configured and at any time it is easy to add more batteries to the storage or more solar panels and car chargers that are also modular, and there are over 25 kw of additional chargers. The current standard for fast charging is 50 kw, but it will soon become twice as fast and for that purpose, additional batteries and chargers can be installed in Sunčica. The experience we have gained by charging 50 and more vehicles at once during our "Nikola Tesla Ev Relija" as well as the enormous experience of operating and driving electric vehicles, we have embedded in "Sunčica" as the first integrated solar charging station for electric vehicles in its area air-conditioned relaxing area with wi-fi, TV screen, vending machines with organic local products and the Virtual Reality Room for special experiences while waiting for your vehicle to recharge. "Sunčica" is conceived as the true chapel of e-mobility, a space adapted to new mobility where people devote more attention to the environment and to themselves with a much lower cost than ever. The "Sunčica" will be integrated into a special type of digitized advertising as an additional source of revenue. Users will have the option of subscription, and charging prices will vary on subscription but will rarely exceed 10 euros which is the average cost of charging. A substantial source of revenue will also generate additional products and content. Sunčica will be set up on motorways and entrance to cities and within cities, depending on the configuration of a particular terrain, the most acceptable solution will be implemented. More then 75% of tourists are coming to Croatia with personal vehicles and among them, an increasing number of those arriving by electric vehicles and they are tourists we desire, environmentally-conscious, non-polluting and consuming four times more than the average guests coming with their fossil fuel vehicles, which leave tens of thousands of tons of exhaust gases every year in the country. By 2020, Croatia will have between one and two percent of the share of e-vehicles, and it will have up to 5 percent of the existing 2000 bargaining network by signing EU contracts. 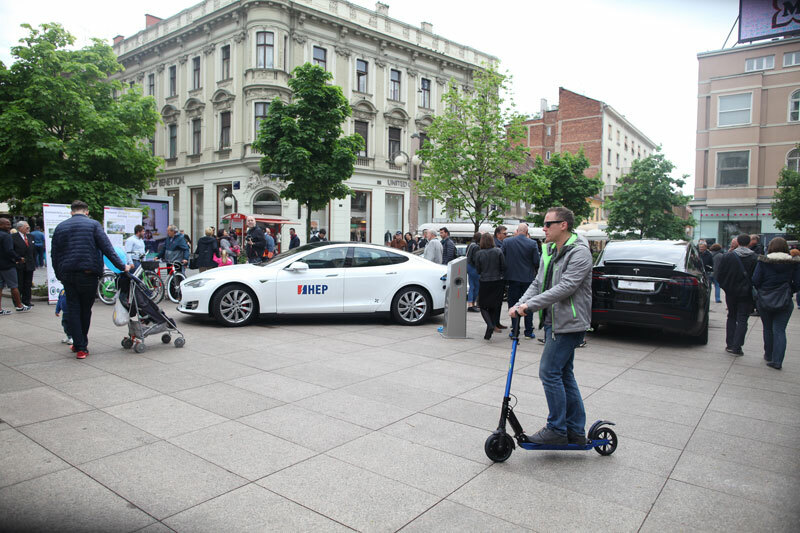 This is also the biggest problem in accelerating the expansion of e-mobility in Croatia. It is almost impossible to set up and connect to the network as th cost of connecting excede cost of charging stations by double so our “Sunčica” is not only ideal but the only business-logical solution and enormous benefits are also available to the wider social community. Imagine that in a small town of 5,000 people suddenly all people are using electric vehicles; in this case, their running costs are ten times lower than those in the neighboring city that continue to run on fossil fuels. 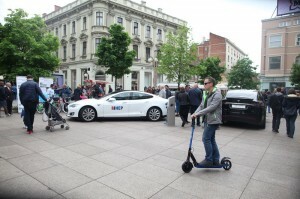 The substantial reduction in the cost of owning a conventional vehicle, which in some families in Croatia amounts to half of the total household budget, will bring about the same budget and will increase consumption that will be more appropriately reallocated to food, culture, sports, entertainment, clothing, books, cinema , concerts etc. Less money for energy and less money for spare parts means more for families with more job opportunities and mobility. Sunčica is entirely croatian product and gives independece with use of solar energy that does not depend on the governemnt and the power grid. 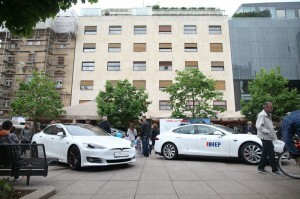 In Croatia, 2 million vehicles are currently registered, now all kinds of electric vehicles in Croatia have around 1500 and the main problem is the lack of infrastructure, unless you drive a Tesla. "To set up a fast charger in Croatia today it is necessary to pay huge amounts for network connectivity, which amounts to twice the price of the charger itself and the waiting period to be connected along with power distribution problems if you really want to provide fast charging to vehicles is unstable. Because of the inability to co-operate with HEP in first two years of our Nikola Tesla EV rally which left us charging 50 vehicle on diesel generators, we got the idea of ​​solar battery charger with battery storage", says Igor Kolovrat, CEO of EVA BLUE and creator of “Sunčica” and we made a prototype of 50 kwh that we exhibited on GPEX fair in Barcelona 17-20.09.2018. Apart from Tesla, most of the charging stations in Croatia are so called “slow chargers” (E.V.A. 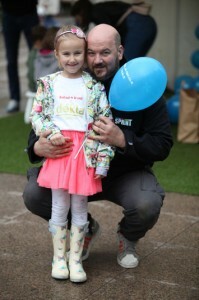 BLUE has set up or initiated a large majority of chargers in Croatia). Our focus is on “fast” solar chargers and battery storage (starting at 150-200 kwh) in order to avoid costly peaks of e-power (from 1750 kn per kwh), energy inactivity with autonomous solar systems with battery power storage are the best long term solution. As the number of users will grow so will modular capacity increase also. The technology will continue advance, cost will decrease and efficiency will increase. Therefore, it is necessary to take key locations and attract "early adopters" because the Tesla drivers and other e-vehicles are extremely loyal and very much attached to "so-called" green technologies. The investment per station amounts to about 300,000 euros with all construction costs, paperwork, permits etc. (given the Croatian institutions with which we have to meet the implementation of this project, there are possible deviations). This project was co-financed by the European Union from the European Regional Development Fund. Content of this material is sole responsibility of E.V.A. Blue d.o.o. 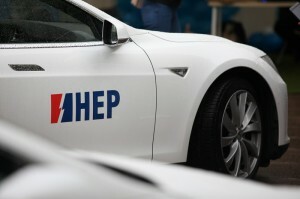 As part of the project "Homeland of Nikola Tesla", company E.v.a. 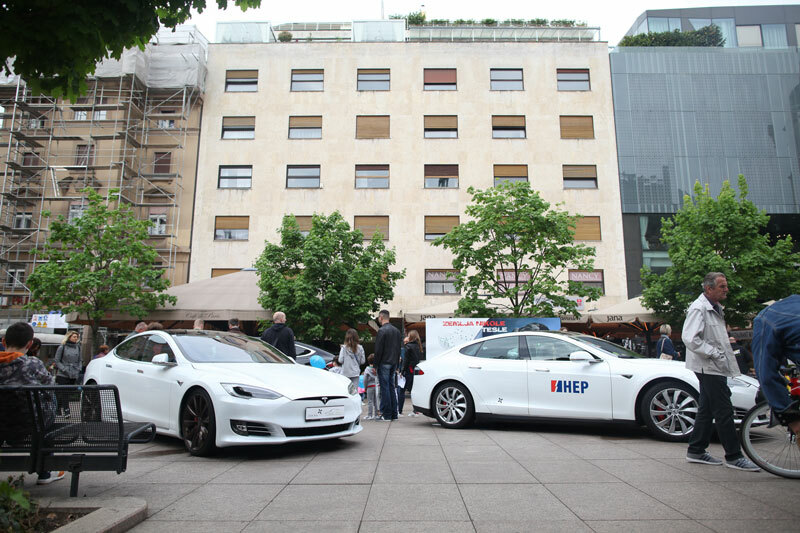 Blue from Zagreb in cooperation with City of Zagreb invites you to premiere presentation of the most anticipated vehicle in the world, the electric Tesla Model 3. The car that, at its first appearance in spring last year, unleashed an untapped interest and reservations of over 400,000 vehicles, symbolizing the transition to an affordable electric vehicle with a large reach and the latest state-of-the-art technology. The city of Zagreb is the first European city to have the opportunity to present its citizens to Tesla Model 3, along with Tesla Model S and Tesla Model X. 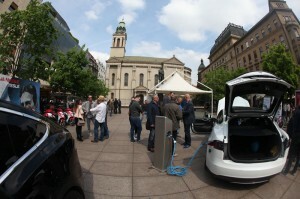 In the week of European Mobility 2018. which is dedicated to sustainable transport, the message we would like to send that in this very near future with better selection of electric vehicles on the market and education on importance of infrastructure for e-vehicles everyone can benefit and their use is especially important within city centers to reduce CO2 emissions and noise. Early adaptation of new technologies is a unique opportunity for our country to open up new jobs and to significantly increase its own production capacity through renewable energy sources. In this way, now big imports of electricity (about 40 percent) will be reduced and money can be kept in Croatia. Our country as the only homeland of Nikola Tesla, the synonym of all the new ideas of the new world, has the opportunity by early adaptation, to benefit from use of new technologies through not only electric vehicles, but also renewable energy sources, especially solar, battery factories, and other forms of new green technologies, and it is extremely important that the City of Zagreb continue to keep up with the recent global trends and recognize and support initiatives such as our "Homeland of Nikola Tesla" with the aim of promoting knowledge and technology, but also encouraging the implementation of advanced technological solutions. E.V.A. BLUE d.o.o. company from Zagreb presented the first solar autonomous modular charging station called "Sunčica/Eva Sun", fast charging station with solar panels and battery storage system powered primarily by solar energy will enable users unique experience of charging their vehicles with "clean" energy, with possibility to connect to the grid or to operate autonomous. Min. Configuration will be 50 kwh that can store energy in 500kwh battery storage and can easily and quickly charge up to 10 vehicles at the same time. It's modularity provides the possibility to "upgrade" with more solar panel and battery storage capacity and chargers. As the number of consumers grows, so will the capacity of charging station. Five years experience we gained organizing the first rally "Nikola Tesla EV Rally Croatia" we used to design energy independent, modular and suitable for charging of all type of e-vehicles, e-bike and scooters, mobile phones which will offer free wi-fi, 3D infotainment, "Virtual Reality" room, organic food and beverage from local producers, self-serviced in the first phase while you wait your vehicle to be charged. It is a multi functional space adapted to a new age of mobility and enviromentally friendly that will be set on motorways, entrance to cities or in the cities depending on configuration. 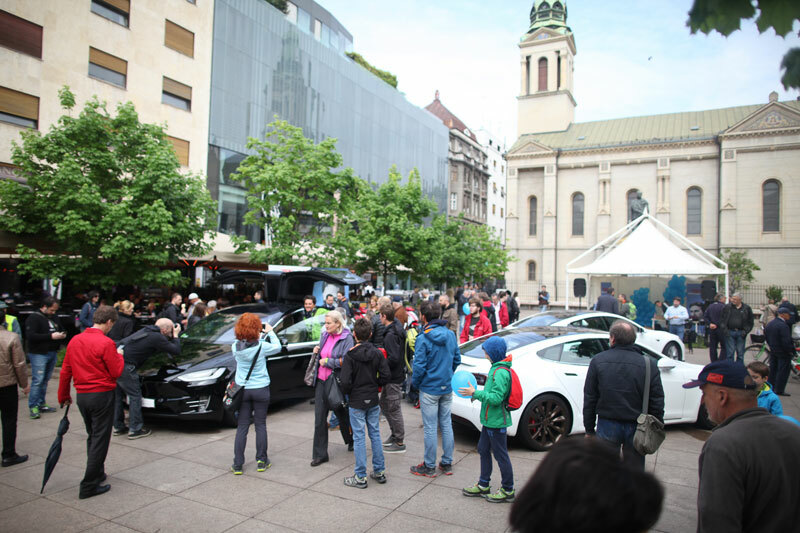 The spectacular parade of Tesla vehicles through the heart of Zagreb, starting from Ban Jelačić Square to St. Marks Church with award ceremony and announcement of winners in Palace Dverce on the Upper Town od 10 June, this years rally came to an end. 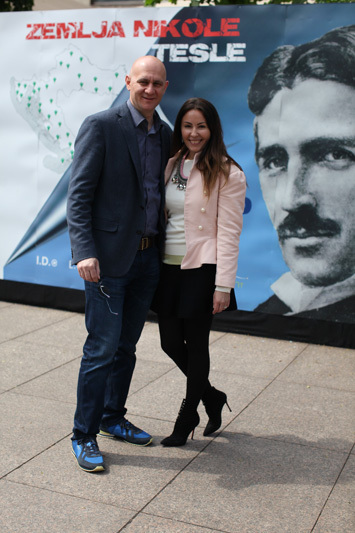 Presentation of "Nikola Tesla EV Rally Croatia" on LEAP Summit in Zagreb hosted by founder od rally, Mrs. Tina Kolovrat and shared the most important details about rally that is held for the 5th time this year in Croatia. Panel discussion on "Auto Tech" stage, the largest tech summit in the world where mrs.Tina Kolovrat, founder of "Nikola Tesla EV Rally Croatia" participated on subject "women in e-moblity". Svi smo (nadam se) čuli za velikog hrvatsko-američkog izumitelja i vizionara Nikolu Teslu. No, jesmo li čuli za električna vozila Tesla? 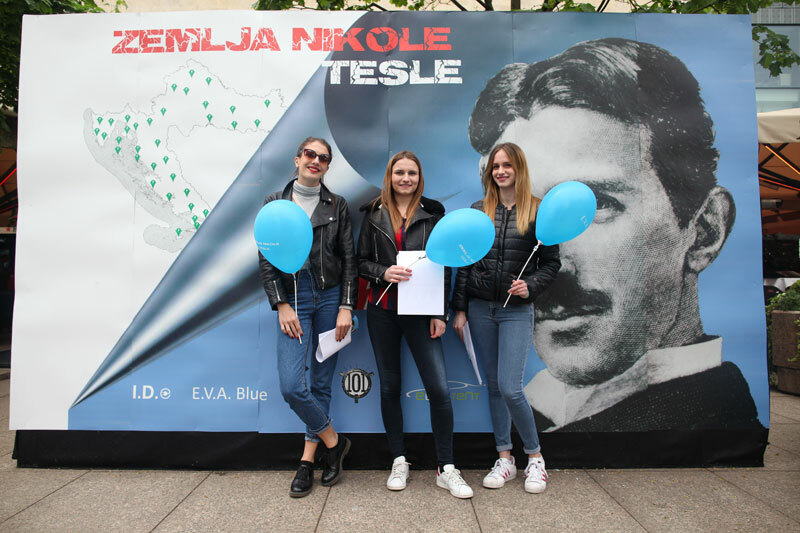 Nikola Tesla EV Rally Croatia 2017.
as part of the initiative "Croatia - The Homeland of Nikola Tesla". Citizens were able to see and try out the Tesla vehicle, Model S and X, e-bikes and e-scooters and kids had fun in educational workshop coloring different e-vehicles. "The name of Nikola Tesla is the worldwide synonym for progress, knowledge and new technologies. With these values ​​is also conected our partner HEP, which is the first in Croatia to recognize a European trend of introduction of the sustainable development in the sectors of energy and transport, for was awarded the title of Ambassadors of alternative fuels end of 2016, awarded", said the organizer of the event, Tina Kolovrat from EVA BLUE company. 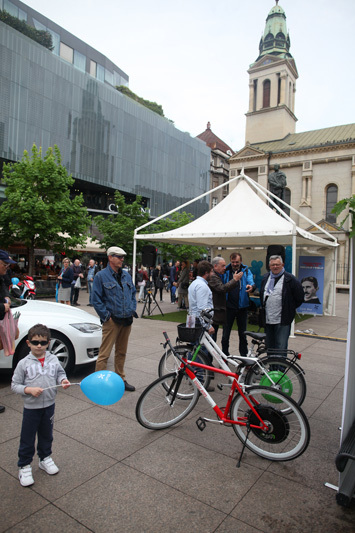 The interest of citizens for all kinds of e-vehicles is really high as we could see during our event and it“s why events like these are extremely important in promotional and educational sense. 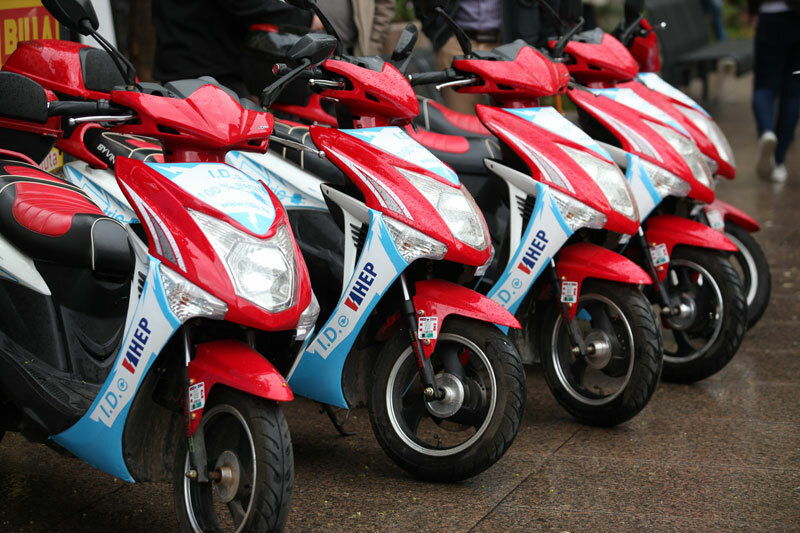 e-vehicles in addition to being ecological, do not pollute and do not make noise, are also very fun! U subotu 15.04.2017. s početkom od 09.00 h na Cvjetnom Trgu u Zagrebu, odvijati će se event pod nazivom “Hrvatska: Zemlja Nikole Tesle” u sklopu inicijative tvrtke E.V.A. 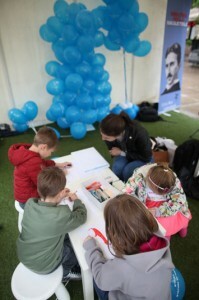 BLUE iz Zagreba, pokrenute s ciljem promicanja i implementacija znanja, inovacija i novih tehnologija, posebice na polju e-mobilnosti i obnovljivih izvora energije, gdje kao tvrtka djelujemo dugi niz godina.